Crystals and minerals are used today not just for storing information, the building of electronics, or watchmaking...but healing crystals can also cure you of any deep psychological challenges you may have throughout the day. When it comes to crystal healing, these tiny stones can not only heal us, but they do it in the most natural way you could ever imagine. 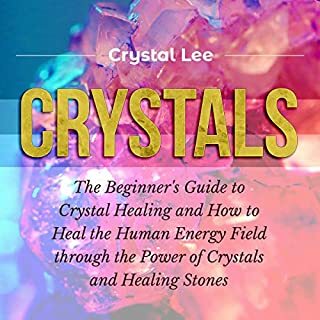 In this audiobook, you’ll be introduced to crystal healing, its history, and its multiple modalities so you can find the right style and technique for you. Perfect book to learn and identify your crystals. I have had this book for around 1 month now and it has been such a help. Whenever I've needed to know about chakras, colors, locations, and so forth, I can find it in there and learn more about it. Well put together and in depth book. There is a decent description of many stones and is a great resource for people beginning a crystal healing journey. Kelsey Long had dedicated her life to studying and had never experienced love. But her world was turned upside down when she met the handsome and witty William Drake. On the outside William appeared like any other guy, but the truth was that he was a 100-year-old weredragon who had seen and experienced things that most humans wouldn't believe. Dating a girl like Kelsey was nothing new for William but for Kelsey this was a first and she was worried. The truth was Kelsey had never been with a man before, let alone a dragon. Would she have what it takes to please him? The story was cute and silly. Kept me interested. It is full of suspense, romance and mystery. 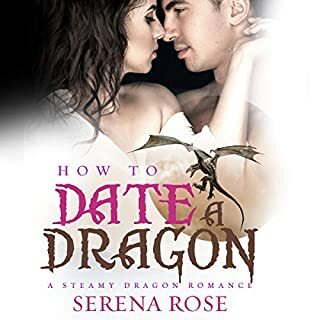 I absolutely loved this book 'How to Date a Dragon'! This book was full of suspense, romance and mystery. The narration was good and the author did a great job with the character builds and plot. I found myself taking the longer route home just so I could listen to it in the car; it keeps you going and wanting more! This is my first book by this author but definitely will not be my last. I can't wait to listen and read other books in this series! Provide vast amount of information. This book is absolutely amazing!! I have already used it to look up the crystals I already have and ones that I want and need. The vast amount of information helped me with my decision making as to which I truly wanted/needed next. It is useful for so many more things than I realized that go beyond just crystals and their meaning. So full of helpful information on a wide variety of crystals, from descriptions, attributes, healing properties, pictures and multiple indexes to help with easy lookup! I recommend this book to anyone trying to delve deeper into the subject and who is looking for a reference guide! Discover the gentle, healing powers of crystals. Learn how to use these natural earth element stones that connect us to our higher selves and higher beings, in order to activate our inner healing abilities. Healing Crystals will allow you to become knowledgeable in many aspects regarding the healing power of crystals. Achievements will succeed w/ the help of Crystals! Crystals are said to contain unique powers that help in undoing negativity and supply the body with a positive flow of vital energy. Crystals are utilized by individuals for thousands of years and having no scientific backing for how these crystals work on the body, you will get the basic explanation for it. And in this audiobook, you can learn about the basics of crystal healing in detail various remedies that befit your health, wealth, love and relaxation needs, beating illness and so on. Despite the positive purposes of crystals, there are varying accounts of crystals that contain more sinister energies that are far from beneficial. To maintain and get the best output from the book, you need to read the book properly step by step with due attention. That being said, the author provides a healing meditation to assist focus your energy wherever you actually want it; she is truly an extraordinarily knowledgeable, as the book is extremely well written and also well organized, and it had been a wonderful selection for somebody who needs to boost their health and wellness. Such nice content and that I appreciate it on the far side words. 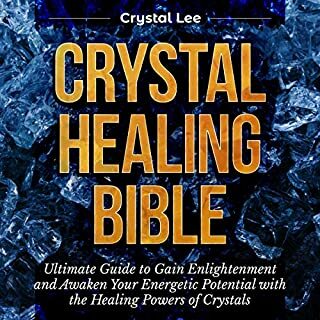 Learn the holistic way to heal with Crystal Healing Bible. Are you looking to balance your mind, body, and soul? If so, there are many healing crystals in this audiobook that can accomplish this for you. Holistic crystal healing methods can help bring positive energy into your life and help you become the best version of yourself. 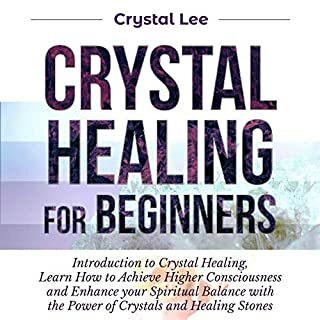 In this audiobook, author Crystal Lee will walk you through everything you need to know to get started on your healing journey. It’s like a crystal encyclopedia and dictionary. This audiobook is wonderful. It's very intelligently written and contains more than one can learn about our crystal friends in a lifetime. 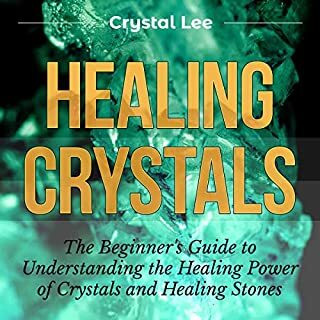 I've been itching to learn everything I can, and this book has a nice collection; I had purchased another book that goes more in depth on each crystal but this one is easy to use, quick to find what you are looking for and gives great information. Moreover, this a very definitive source for the properties and uses of a large number of crystals, both common and rare. It also has info on cleansing and dedicating crystals. It’s like a crystal encyclopedia and dictionary all in one. All in all I have found this to be a very helpful book and especially a useful reference for many levels of collectors. Truly recommended to those who want to learn. Such a wonderful addition to my virtual bookshelf! I found this audiobook to be interesting and helpful towards meditation and healing. Although not quite convinced this book is for everyone and possibly even a little out there on the topic, it was interesting. 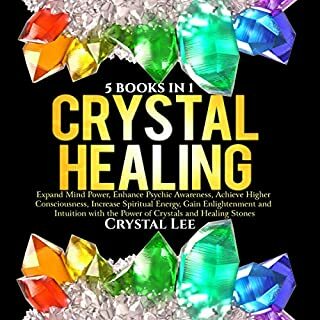 Crystal Lee made the information easily accessible, especially to someone like me who is still learning about alternative healing modalities but also I had been perusing YouTube, online forums, etc. for how to clear and charge crystals and how to incorporate them into meditation. 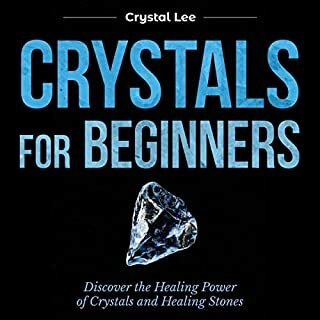 In addition, for me this is an extensive guide, an extremely well written and well organized book (For Beginners) so listeners/readers can find a 'recipe' for any situation or need for learning about power of crystals and healing stones as well. Moreover, I would like also to commend the narrator, Ms. Lizzie Richards for her soothing voice. I would love to recommend this book to all beginners out there! Are you ready to make some serious changes in your life? If you are, then this audiobook is for you. In this audiobook you'll learn how to reclaim your life with the power of these beautiful gems called crystals. Whether you’re just trying to get your feet firmly planted on the ground, or you’re dealing with deeper psychological challenges, you’ll get the basics for beginners who wish to explore the world of crystals. I am new to crystals and found this to be amazingly helpful! This book is great for beginning wanting to learn more about crystals and energies. It goes into details across a magnitude of topics which I found fascinating. It’s definitly helped me to learn more and want to get more involved with crystals. It’s a super easy read and I would definitely recommend this book to anyone! I'm looking forward to put all I've learned to good healing use. Thanks Ms. Crystal Lee. 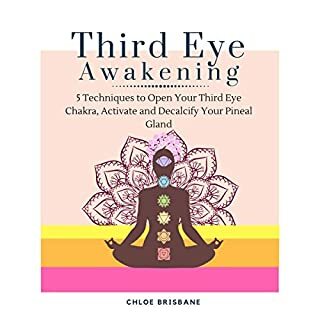 Third Eye Awakening is your one-stop audio guide that will teach you everything you need to know about how to open your third-eye chakra and activate and decalcify your pineal gland through the power of mindful meditation. The author has nicely and beautifully explained what "third eye" is. It attempts to provide explanations to the mystery of the third eye and the ways that it can be opened or how to deal with it and yet it definitely granted me with a lot of knowledge about the third eye in all aspects. I've really enjoyed listening to this. Would gladly recommend it to anyone looking for a great audio book about awakening the Third-eye. I'm really happy with this book and it's indeed informative/knowledgeable. I would recommend this book if you just need some inspiration of how to become more in touch with the world, or if you are interested in kundalini awakening specifically. In addition to content, the book was well written in style, grammar, and spelling, and was also relatively substantial. This audiobook will teach you everything you need to know about kundalini, a well-kept secret for centuries. 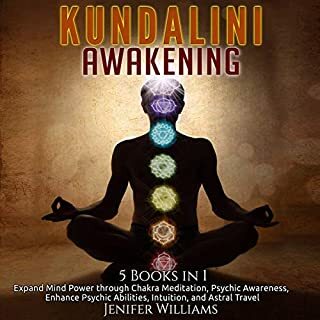 This audiobook will take you on a journey to discover kundalini, its origins, how to utilize it, how to unlock your psychic powers, how to use your chakras, how to awaken your full potential, how to broaden your mind, and more! This audibook is really great for beginners that you can start from here! The author does an excellent job of laying down the thoughts, process, and practices. I 100% recommend this book to anyone who thinks they may be having a spiritual awakening and who'd like to start their journey in awakening kundalini.